Migraines: Is the Brainstem to Blame? It is important to remember everyone is different, and not everyone will have the same symptoms. In fact, in one person, a migraine may differ from one migraine to the next. Currently, the thinking about the source of migraines has begun to change. Previously, it was thought that the dilation and constriction of blood vessels in the head was to blame for migraine pain. This is what earlier medications for migraines focused on in order to relieve migraines. Due to advances in technology, researchers now believe that migraines are a neurological disorder that has to do with nerve pathways and brain chemicals. Diagnosing migraines is not easy. Most of the time, doctors will analyze your symptoms, review your family history along with your medical history, and conduct some medical tests in order to eliminate other possible causes of migraines. There are over 300 types of headaches, including migraines. By investigating these headaches and migraines, it has been seen that the majority of them are connected to a dysfunction in the neck. The theory of blood vessels constricting came about because of the throbbing nature of migraines. However, there hasn’t been any hard evidence to prove this. In fact, the evidence shows dilation of blood vessels does not coincide with the pain of migraines. Rather, it is the end result of head pain. When it happens, the major blood vessel only enlarges by 9%, which is not enough to cause head pain according to experts. Interestingly, a theory suggested in 1888 may be closer to the truth of what really happens during migraines than was once believed. The throbbing nature of migraines was dismissed in favor of having a sensitized brainstem, called the trigeminocervical nucleus. When testing for the trigeminocervical reflex, it has been seen that migraines, headaches, menstrual headaches, and cluster headaches all show signs of a highly sensitized brainstem. We might compare the area located between the spinal cord and the brain to a black box on an airplane. All sensory information comes through this area before it comes to the brain. It is registering what’s going on in the head, the face, the teeth, blood vessels, jaw, and the top three cervical spine joints. Now imagine something happens to the black box and exaggerates everything being put into it. This means the signals going to the brain are abnormal. 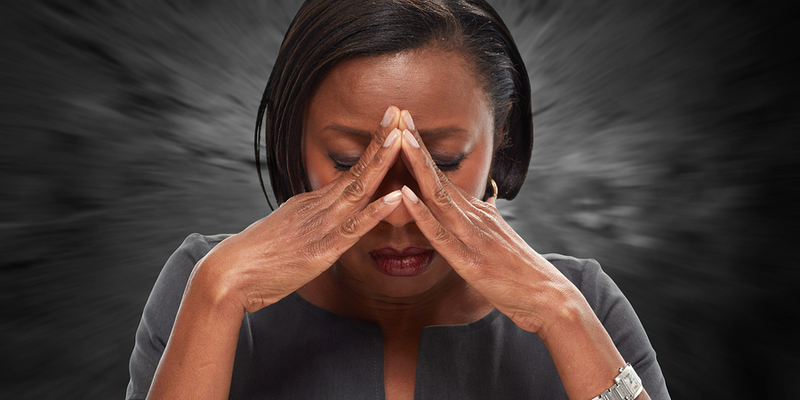 Your brain becomes overloaded, and the end result is migraine pain. Why does the brainstem become super sensitive? There can be a few reasons this happens. One of the most serious is a dysfunction in the upper neck, possibly due to poor posture. Evidence shows if people work at strengthening their neck muscles, they often have fewer and less intense migraines. Other things can affect the brainstem negatively, including stress and certain foods, such as cheese, dark chocolate, red wine, and citrus. If the brainstem becomes amped up enough, it can begin to cause problems. If this is continuous — day after day, minute after minute — you may begin to develop a trigger system. This means you will not have the same sensory input as a normal person, but you will experience sensory input more intensely. In other words, the brain perceives a small amount of pain as major, intense pain. It’s quite amazing the number of headaches and migraines that can be attributed to a problem in the neck. 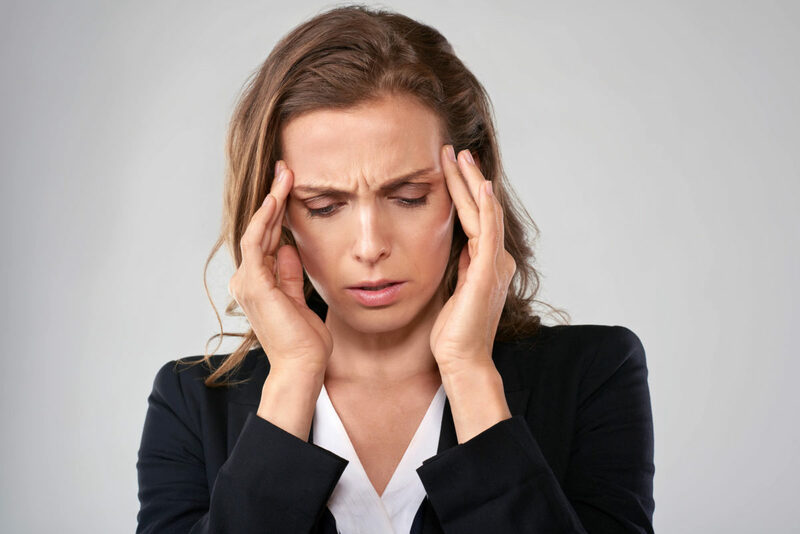 However, studies have shown that by correcting the problem that is causing the headaches or migraines, many patients see these conditions begin to improve. This is true for migraines, sinus headaches, menstrual headaches, tension headaches, and many others. A study was conducted of 101 patients with migraine headaches. It was found upon examination that each one of these patients had a misalignment in either the C1 or C2 vertebrae. They were all given upper cervical chiropractic care. At the end of the study, all of them saw an improvement in their migraines, many within only one or two adjustments. Some reported their migraines went away entirely. How does upper cervical care help? The C1 and C2 vertebrae are located in the same area as the brainstem. In fact, they were created to protect the brainstem. However, if you have undergone some sort of trauma to the head or neck, such as whiplash, a sports accident, or even a simple trip and fall, the bones of the upper neck may be misaligned. This means that rather than protecting the brainstem, the C1 and C2 vertebrae can now put the brainstem under stress and cause it to send improper signals to the brain. This is similar to what we talked about when we referred to this area as being like the black box on an airplane. Since all the signals from the body go through the brainstem, it affects the signals the brain receives and how it reacts to them. Here at Kilian Chiropractic in Aldergrove, BC, we use a gentle yet effective method to help encourage the bones of the neck to move back into place more naturally. We are not required to pop or crack the neck or spine to get positive results. Once corrected, our patients report similar results to those in the above-mentioned study. They see their migraines decrease in frequency and intensity while some patients see them go away completely. By developer|2018-11-02T16:42:51+00:00April 27th, 2018|Uncategorized|Comments Off on Migraines: Is the Brainstem to Blame? A NUCCA chiropractic office on the west side of Madison.